Central Care Cancer Center is partnering with HCA Midwest Health to bring one of the nation’s leading neurosurgeons to Garden City and Great Bend in late August to present to area healthcare providers the latest approaches in treating pain. 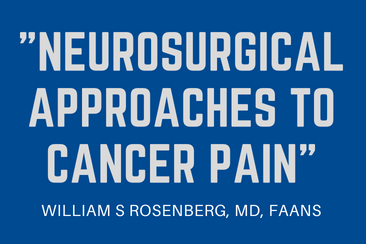 Dr. William Rosenberg, founder and neurosurgeon of the Center for the Relief of Pain, located in Kansas City, Mo., will conduct a presentation at Heartland Cancer Center, Garden City, the evening of Aug. 20. He will follow his presentation by leading an informal discussion with providers the morning of Aug. 21 at Central Care Cancer Center of Great Bend. “Neurosurgical Approaches to Cancer Pain” will be presented by Dr. Rosenberg during a dinner hosted from 6-8 p.m. on Aug. 20 at Heartland Cancer Center, 410 E. Spruce St., Garden City. One CME/CNE credit is available for physicians, physician assistants, APRNs and nurses who attend. There is no charge to attend the dinner or presentation, but RSVPs are requested. Contact Aaron Cannon, Marketing Manager for Central Care Cancer Center for questions or to RSVP, 785-506-5716 or aaron.cannon@cccancer.com. “Neurosurgical Treatment of Pain” will be the topic of discussion from 7:30 – 8:30 a.m. on Aug. 21 at Central Care Cancer Center of Great Bend, 204 Cleveland St. Breakfast will be served. There is no charge to attend the breakfast, but providers are asked to contact Michael Dawes, Public Relations Manager for Central Care Cancer Center for questions or to RSVP, 785-577-8348 or michael.dawes@cccancer.com. 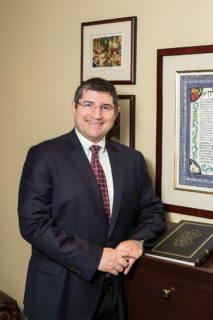 Dr. Rosenberg has dedicated more than two decades to the neurosurgical treatment of pain in his practice, using a patient-centered and evidence-based approach. He is Vice President for the AANS/CNS Joint Section on Pain. He is also founder and President Emeritus of the Cancer Pain Research Consortium.